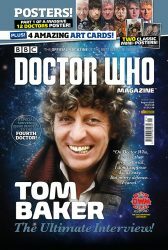 Tom fills more than 60 pages in the current issue of Doctor Who Magazine. As from tomorrow we will have autographed copies, which can also be personalised with a dedication of your choice, available here in our online shop. 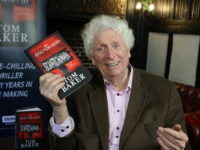 In this, the 501st edition of Doctor Who Magazine, there are more than 60 engrossing pages of interviews with Tom about his time as Doctor Who, his current work as Doctor Who with Big Finish and a feast of delicious titbits about the real Tom Baker, all illustrated by a wealth of pictures from his time as Doctor Who and contemporary portraits. 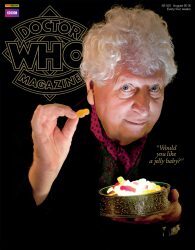 Also in the issue is the start of a new comic strip adventure with the Twelfth Doctor, plus all the latest Doctor Who news, views and previews. 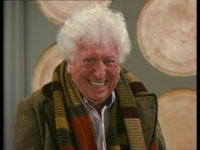 The collectable souvenir edition is packaged in a plastic polybag which also contains four amazing art cards and a double-sided poster which features Tom alongside all the other Doctors. The magazine itself features recent photography of Tom, taken by Oliver McNeil. Visit us again from tomorrow onwards to purchase your autographed copy.